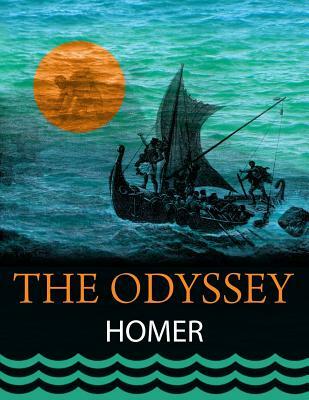 The Odyssey is the second classic poem after Iliad attributed to an Ancient Greek poet Homer. Presumably, it was created in the eighth century BC or a little later. The poem describes the journey of a mythic character Odyssey to his homeland after the end of the Trojan war, and the adventures of his wife Penelope who had been waiting for Odyssey in Ithaca. Both Odyssey and another famous poem by Homer, Iliad, are full of mythic elements - Odyssey meets Cyclope Polyphemus, the witch-goddess Circe, the god Aeolus etc. Odyssey describes most of his adventures during the feast with the King Alcinous. Homer was probably born around 725BC on the Coast of Asia Minor, now the coast of Turkey, but then really a part of Greece. Homer was the first Greek writer whose work survives. He was one of a long line of bards, or poets, who worked in the oral tradition. Homer and other bards of the time could recite, or chant, long epic poems.